Unless you’ve been living under a very large, very soundproof rock for the past few years, you probably know that Phillips won season 11 of “American Idol” and his songs have been dominating the radio waves and iTunes ever since. “Home” and “Gone, Gone, Gone” are two of his most popular songs, and have propelled the 24-year-old to multi-platinum stardom. “Home” was released the day Phillips was crowned winner of “American Idol,” and became the most popular coronation song of any “Idol” winner. 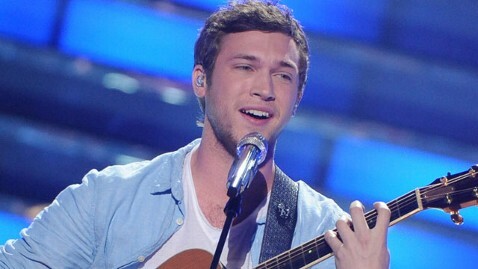 Since his “American Idol” win, Phillips has released two albums: “The World from the Side of the Moon” and “Behind the Light.” He has toured with Matchbox 20 and with John Mayer on Mayer’s “Born and Raised” tour last summer. Despite his level of stardom, Phillips hasn’t forgotten his friends and family. He told me that his family supported his music from the beginning, and that they and his friends have been praying for him and calling him with encouragement since he’s been on the road. I asked Phillips how he thought his friends and family would describe him, and there was a pause. “Well… man I’m scared to answer that,” he said. I guess we’ll all have to turn out for his show to find out. Phillips will perform as the Homecoming entertainment headliner at CWU on Oct. 18 at 8 p.m. in the SURC Ballroom. Tickets are on sale at http://www.cwu.edu/tickets, and are $20 for CWU students, $30 for general admission and $40 for reserved seating. They’re already almost sold out, so getting them now-ish would be a good plan. Holy Homecoming! A week’s worth of events.